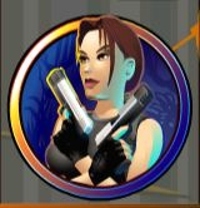 Lara Croft is one of the most iconic video game characters of all time. While Tomb Raider has provided females with a video gaming role model the success of the game and the franchise has been about more than just gender roles. The games were fantastic, combining puzzles with action sequences, forcing gamers to learn and focus their attention on a game that would provide them with the opportunity to go further every time. The slot dates back to 2004, making it a classic for many people, and it features five reels and 15 pay lines. There are two bonus features to look out for, the bonus game and the free spins game. The range of bets available in the game span from 0.05 all the way through to 37.50 on a single spin; although this larger sum is likely to be only for high rollers. 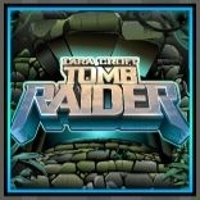 The Tomb Raider phenomenon is one that has managed to transcend the gaming industry. The films that followed helped to catapult Lara to a wider audience and cemented her role as a female icon. In the modern climate, it would be wrong to look at this game and review it by the standards of the current slots. It was hugely popular on release and, even today, it provides players with the chance to focus on the gameplay without being side-tracked by so many of the additional features and bonuses that some games rely on. The scatter symbol in the game is Lara Croft herself. 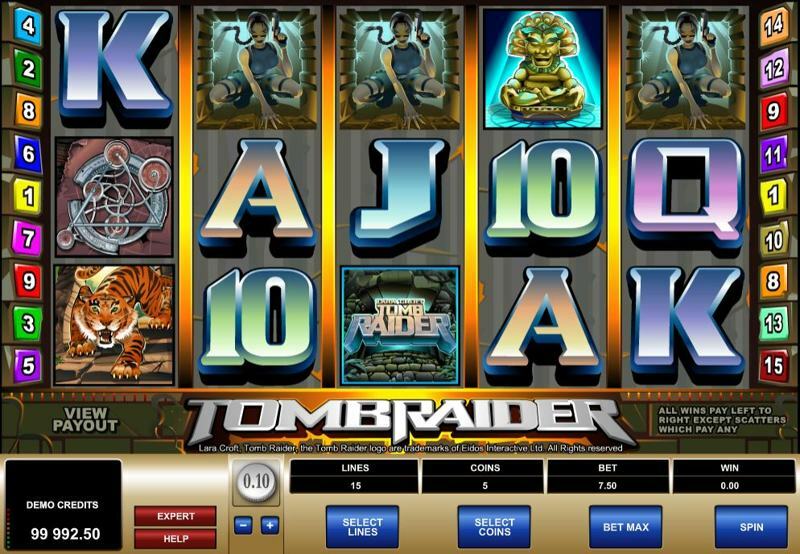 The free spins bonus game is started when a minimum of three Lara symbols appear. Your ten freespins will also come with a 3x multiplier on all wins, and this can even be re-triggered if you’re lucky. The games logo also serves as the Wild symbol, which will substitue for any other symbol apart from the scatter and the bonus. In doing so, the Wild will bag you extra wins. 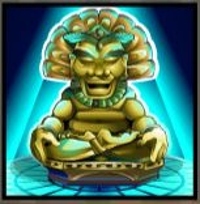 The bonus game gets underway when there is a minimum of three idols appearing on screen, either in regular play or during freespins. During the bonus round your wins will be added to the payline wins, and will already have been multiplied by initiating the line bet.